(Lanka e News -20.Nov.2018, 11.30PM) This letter faxed to the President Sirisena. It has been written according to the decision taken at a meeting organised by the Independent Civil Society for Unity, held in Sutton on 10th in which representatives of cross section of Sri Lanka community living in London attended. We, the expatriate Lankans living in the UK, wish to express our grave concern over the political developments unfolding in Sri Lanka. 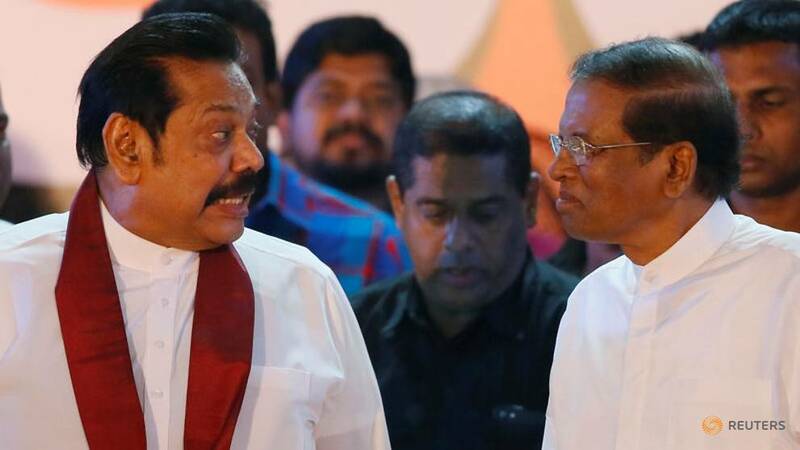 We consider your action of suddenly ousting the Prime Minister Ranil Wickremasinghe and appointing the controversial former President Mahinda Rajapaksa as a constitutional putsch. Even if the removal and appointment were justified after the SLFP had pulled out from the government, the next step would have been to take a floor test to see who enjoyed the confidence of the house. Instead you have appointed a new cabinet and unilaterally prorogued Parliament to give newly-appointed PM Rajapaksa time to muster enough support. It resulted in two incumbent Prime Ministers and two competing power centers, first time in Sri Lanka, and instigated the unprecedented political and economic turmoil in the country. Whilst the new-PM took finance Ministry you have brought law and order, media and government press under your purview. Concerted efforts were taken to bring media and police under your control. Attempts are being made to smuggle the entire state machinery into your fold. You ignored all calls to reconvene parliament and went ahead with a clearly undemocratic and unconstitutional move to dissolve Parliament and call for elections when it was proved that you did not have the parliamentary majority to pursue your own agenda. In this manner you have repeatedly overstepped your limits by abusing your executive power, subverting the mandate given by the people, and flagrantly violating the constitution, ethics laws and democratic norms. We vehemently condemn your undemocratic and unconstitutional actions and urge restoration of status quo prevailing prior to October 26th to stop worsening the situation further. Our concern is not about the plight of Mr. Ranil Wickremasinghe, who is also part of the problem, but the people and democracy of the country. We wish to remind you that, our country has the reputation of being one of the oldest democracies of Asia and, however flawed, there have always been peaceful transfers of power. That is now changing because, never before has it so blatantly disrespected its own constitutional norms. If this situation is not rectified forthwith, we warn, you will go down in history as the worst leader ever Sri Lanka has had and we will join hands with all democratic forces to stop this dangerously shameful development.